You might have tuned in to Litmus’ “industry changing” announcement at the Litmus Conference that Litmus will be collecting feedback and bug reports on Microsoft’s behalf for the various Outlook email clients. Its great to see Microsoft taking steps to embrace email designers in their email client development and I applaud the folks at Litmus for taking the initiative to establish a formal channel with the Outlook team. Last year, after years of ignoring the email community, I was surprised when Julia Foran of the Outlook team reached out to me to get feedback from the email community on the biggest issues facing email rendering with Outlook. 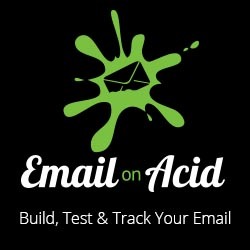 Having been ignored for so long, many email developers and designers were skeptical but they were eager to contribute their thoughts. However, as Outlook 2016 had already launched, there wasn’t a catalyzing event that would seemingly make Microsoft actually fix anything. The catalyzing event came early this year when Windows 10 Mobile launched and it became apparent that the Word engine in Outlook Mobile doesn’t really play nice in mobile – at all. James White’s post summed it up best that the attempt to make Outlook mobile friendly seemed to create a lot of side effects. Suddenly Microsoft had a mess on their hands. I believe it was then, that Microsoft realized the importance of email designers when it came to building an email client. So I wasn’t terribly surprised by the recent Litmus announcement. I was, however, a bit disappointed that Microsoft did not make any statement on what they will be doing with all that feedback. You see it really doesn’t help the email community if all the feedback only goes into developing a better table based email rendering engine. Sure we may see less quirks in our table based email designs, but what the email community really needs is for Microsoft to embrace modern HTML. Put in another way, what is the point in filing a bug report when Microsoft Outlook is the bug. I’m crossing my fingers that we’ll hear something from the Outlook team about what their strategy will be going forward in regards to HTML support. From where I stand there are two options that can realistically be addressed in a reasonable time frame. 1) Update the Word rendering engine to better handle mobile – perhaps with slightly better HTML support and a smattering of media query support. This should make things better for email designers. On the other hand it may introduce even more quirks and require more workarounds. 2) Allow for senders to embed a meta header that tells Outlook to render the email in a browser. This way Microsoft can still keep its cherished Office ecosystem intact where emails authored with the Word engine can still be rendered in the Word engine while the rest of us can finally fully embrace modern HTML. Between the two options, most of us would prefer option #2. Either way, I have a feeling the Word engine will stick around for a long time especially when it comes to authoring of email in Outlook. I’m just hoping Microsoft will offer the option to render emails in Microsoft Outlook using a proper web browser – like it did oh 13 years ago with Outlook 2003. Nevertheless, this is a very promising development. The fact that Caitlin Hart of Microsoft was willing to endure a cross country flight just to step into the “lions’ den” and lend an ear to email designers suffering from Outlook angst was very brave and I hope stakeholders from other email clients will see the benefit of reaching out to the email design community as well. It’s going to be tough to deliver those expectations to Outlook, when most of the feedback they’ll be getting are complaints rather than requirements. I’ve hacked my way around a ton of Outlook issues, so much so that it would take some back tracking and testing to dig through all the rendering issues I’ve seen. Great points on the two options. I think the first step obviously that Microsoft and the Outlook team is willing to hear our concerns and issues. Like you said, the second step is not only fixing those individual concerns, but having a larger project of fixing Outlook as a whole.